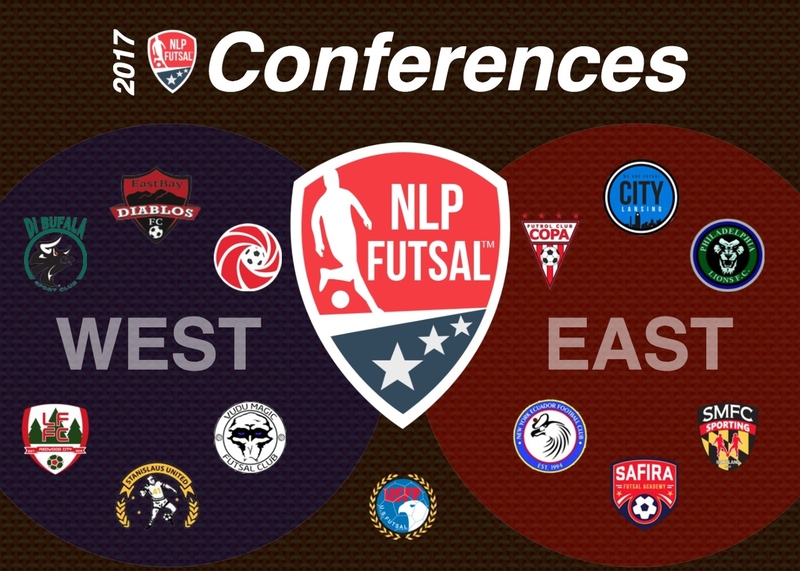 May 12, 2017 - Washington, DC - We're excited to announce the 2017 NLPF Western and Eastern Conference teams that will showcase the top level of professional Futsal in North America! The Western Conference features a strong lineup including Di Bufala, East Bay Diablos, Knowens, La Famiglia, Stanislaus United and Vudu Magic F.C. Meanwhile, the Eastern Conference contains heavyweight contenders Copa F.C., Lansing City, Philadelphia Lions F.C., New York Ecuador, Safira and Sporting Maryland F.C. Stay tuned for updates surrounding upcoming exhibitions and full 2017 schedule!